A major new road is to be built in the Warkworth area with some funding from the Regional Fuel Tax. Auckland Transport (AT) has announced plans for the $62 million Matakana Link Road which will vastly improve connections between Matakana Road and State Highway One, and help decongest the Warkworth area. Transport Minister Phil Twyford says the go-ahead for the road is positive news. 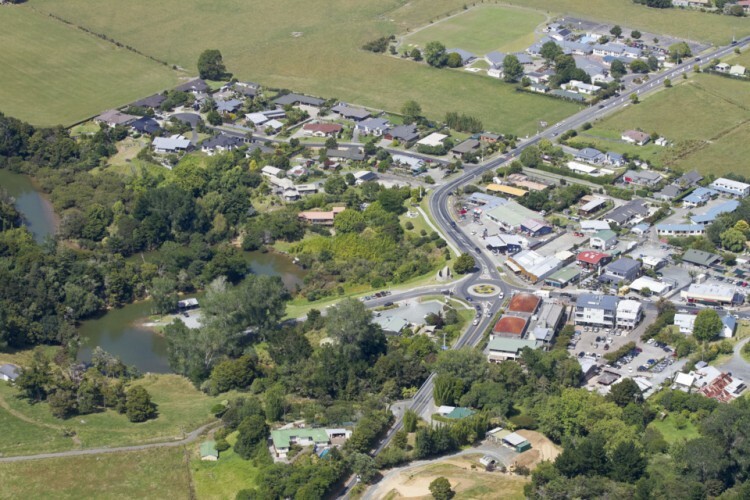 "The area has significant growth and this will help free local roads by providing strong connections which bypass central Warkworth." The work is scheduled to start late next year, it will be timed to coincide with the Puhoi to Warkworth project which will extend the four-lane Northern Motorway (SH1) 18.5km from the Johnstone's Hill tunnels to just north of Warkworth. The Matakana Link Road is one of the first priority projects identified by the Supporting Growth Programme, a collaboration between the NZ Transport Agency (NZTA), AT and Auckland Council, which aims to investigate and plan the transport network and support Auckland's urban growth over the next 30 years. The joint planning programme will support the initial development of growth areas in Warkworth, north, northwest and south Auckland. Phil Goff says Warkworth and its surrounding areas will account for around 30 per cent of Auckland's growth by 2050 with capacity for 137,000 new homes and 67,000 new jobs. "There is huge growth potential for the area that infrastructure investment and a modern transport system will help unlock." Auckland Transport chief executive Shane Ellison says Matakana Link Road will be built in two stages. "Stage one will see two traffic lanes and a shared path for walking and cycling, stage two will be constructed when traffic demand meets capacity. At that point, the road will be widened to four lanes with a separated path on each side for walking and cycling." Mr Ellison says AT is about to begin land purchases for the project. "We will be future proofing by buying land to meet the requirements for the full four-lane design." The 1.4 km long road will be a 50km/hr urban arterial route. Since 2015, NZTA, AT and Auckland Council have been working to identify the preferred transport network to support growth. Early projects such as Matakana Link Road have already been progressing through business cases and consenting. Last month the Minister and Mayor announced a new alliance to begin planning the rest of the long-term network, and collectively guide the process of transport investment and route protection. Early estimates for the cost of transport improvements over the next 30 years to support the growth areas are approximately $8b-$10b, with funding from both public and some private sources. Find out more on AT's website.